When Danny and Maria were submitted to receive medals of valor, Frank was hesitant to decorate his own son because of the optics. He didn't want anybody to suspect nepotism or bring unwarranted scrutiny against himself and the rest of the family. While discussing the situation with his own father, Frank found out that Henry had also declined to give him the same medal in 1988—for the exact same reason. After much deliberation, Frank decided that his son shouldn’t be punished for his relationship when he rightly deserved the medal. 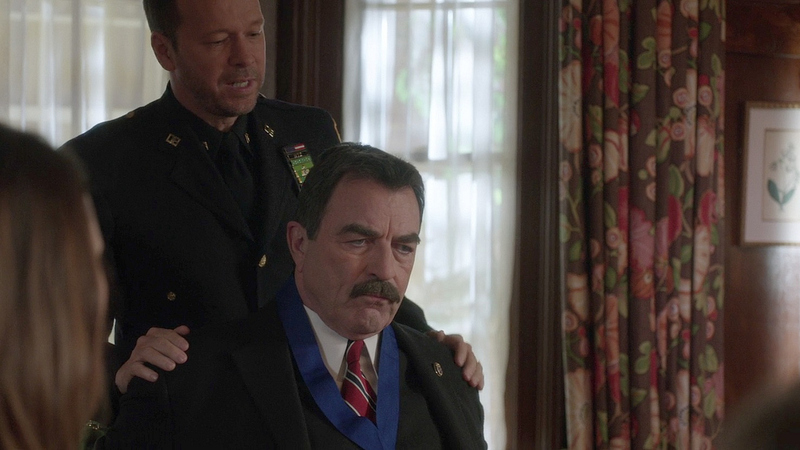 After the ceremony, the family sat down to dinner, where Danny took the medal off of his neck, placed it on his father’s, and Henry stood to read the speech he wish he had read back in 1988. Whatever the official record might reflect, there was no question that Frank had earned it.